Instagram may be copying Snapchat today, but the latter still has some new tricks up its sleeve. The ephemeral social network today introduced ‘Geostickers,’ which are basically like Geofilters, except… stickers. 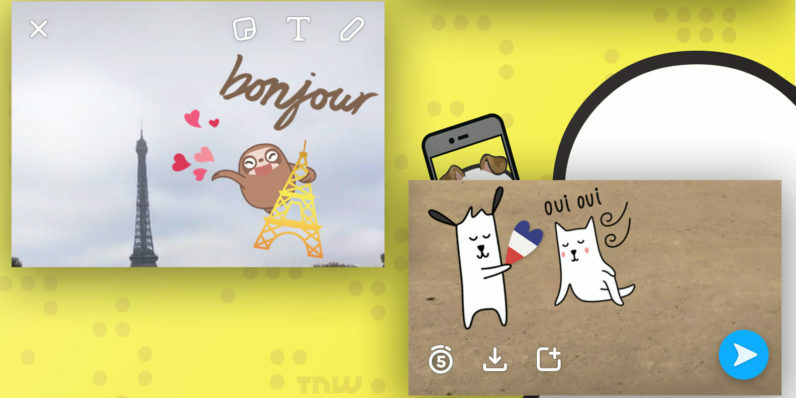 They’re themed to your current location, and you can resize and move them around just like any other stickers or emoji in your snaps, or just send them in chats. Twitter recently introduced Stickers of its own, so Snapchat probably wants to fight back with sticker dominance. They join a growing gamut of stickers on the platform, after adding bitmoji to its arsenal just 2 weeks ago. Snapchat recently allowed brands and everyday people alike to make their own Geofilters to help monetize the platform. We wouldn’t be surprised if the same ability rolled out for stickers sometime soon. Geostickers are currently available in Los Angeles, New York City, San Francisco, Washington DC, Honolulu, London, Sydney, São Paulo, Paris, and Riyadh. Snapchat says you’ll need to have your location services on to try them out – they’re called ‘geo’-stickers for reason.